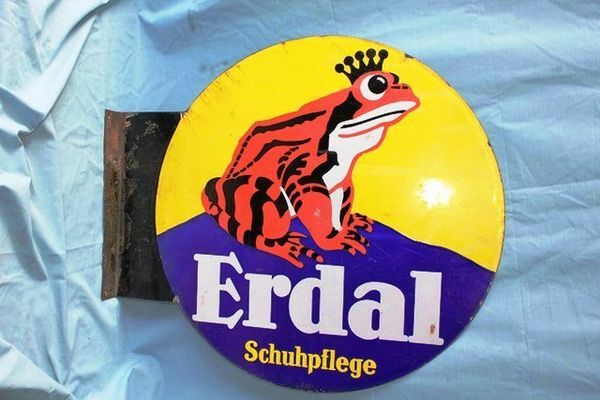 Art Deco Erdal Frog Double Sided Enamel Sign. Art Deco Erdal Frog Double Sided Pictorial Enamel Sign. Nice Original Condition. 70cm x 80cm.